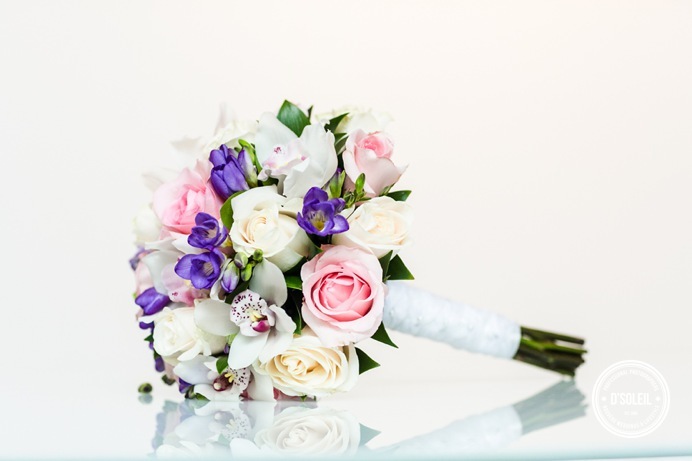 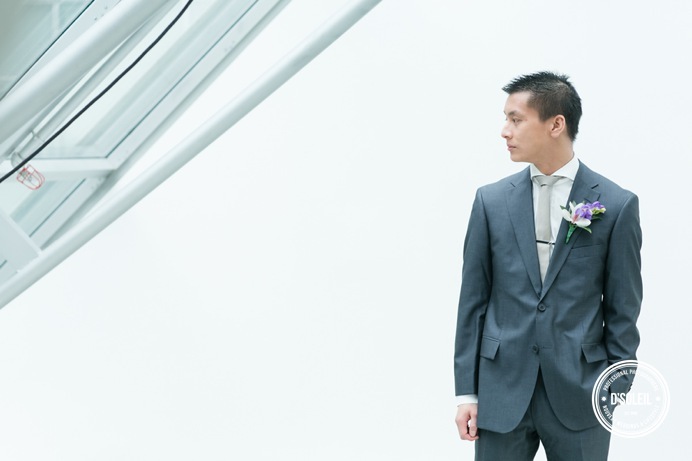 Waterfall Building weddings are some of the most beautiful indoor wedding celebrations. 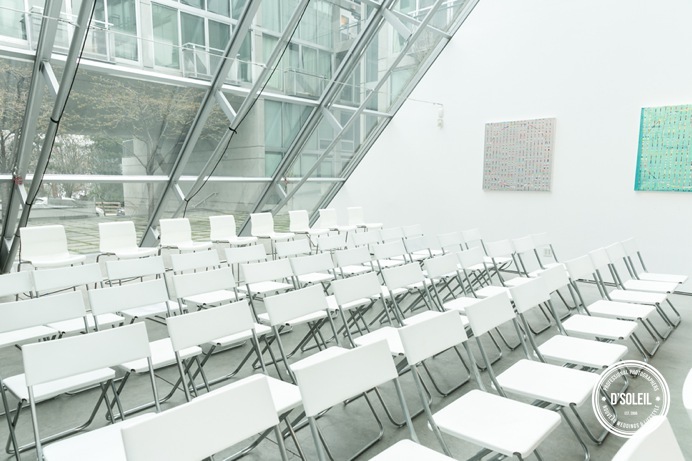 The art gallery space is minimalistic, simple, and modern. 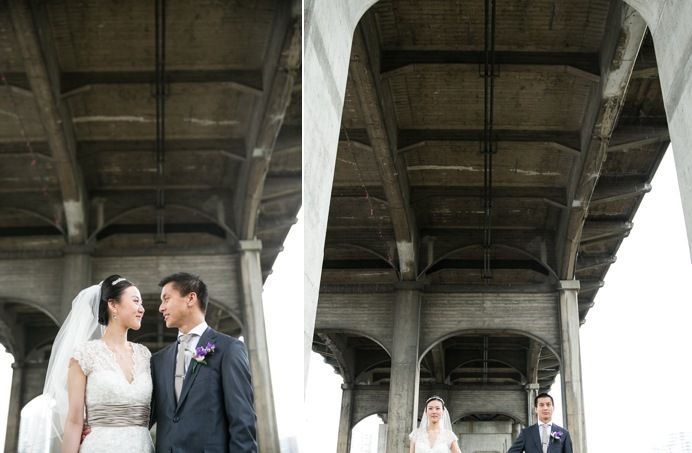 It was the perfect space for an early Spring wedding, which brought the rain to Vanessa + Jason’s wedding day. 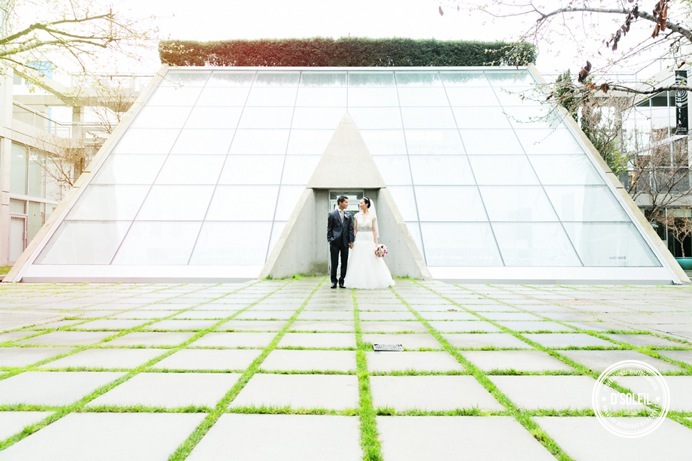 The large glass building let in the light and made an otherwise drab day into a stunning ceremony surrounded by friends and family. 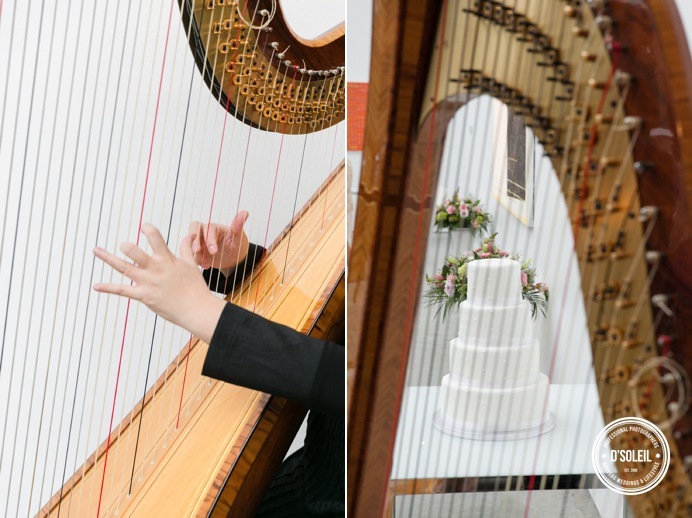 Josephine from Vancouver Harp played for guests before the wedding ceremony began, and also played for Vanessa and Jason as they walked the aisle. 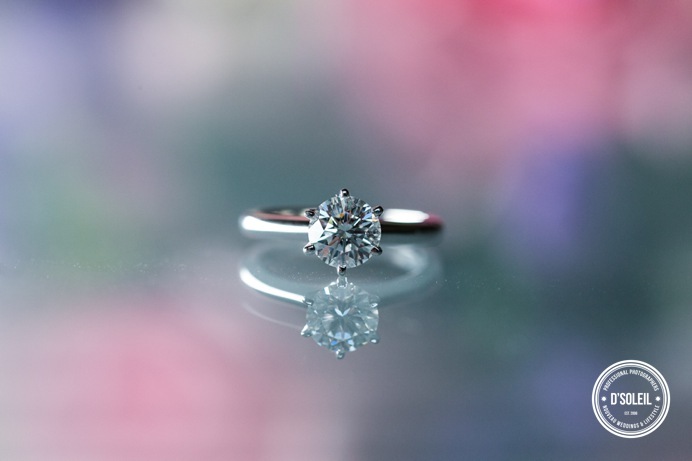 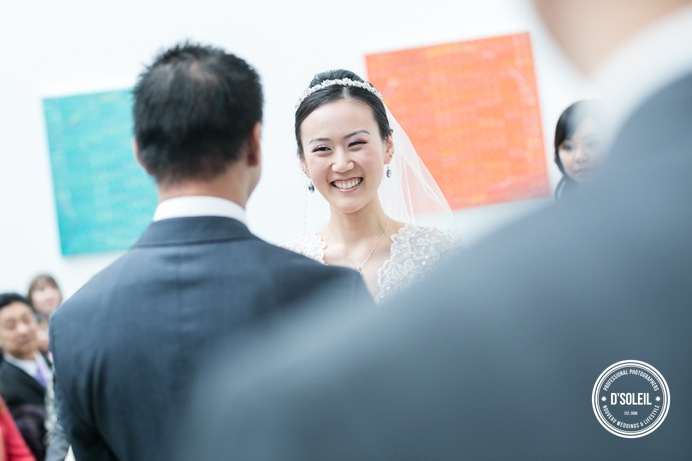 Vanessa’s father walked her from the bridal room to the ceremony via the outside courtyard. 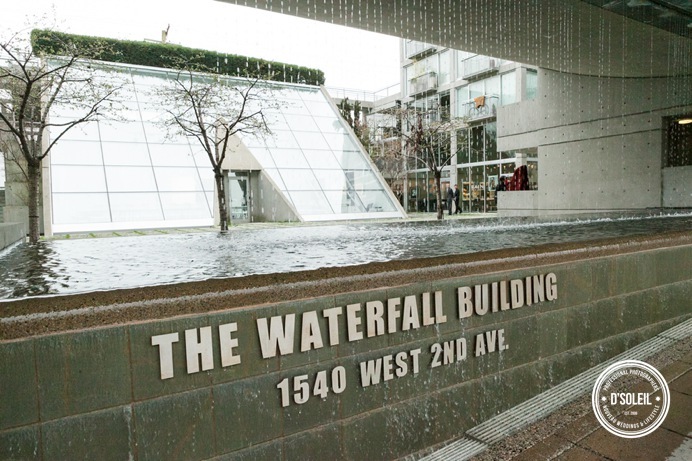 The rain paused long enough for them to make their special walk together into the Waterfall building where eager guests waited to see the stunning bride. 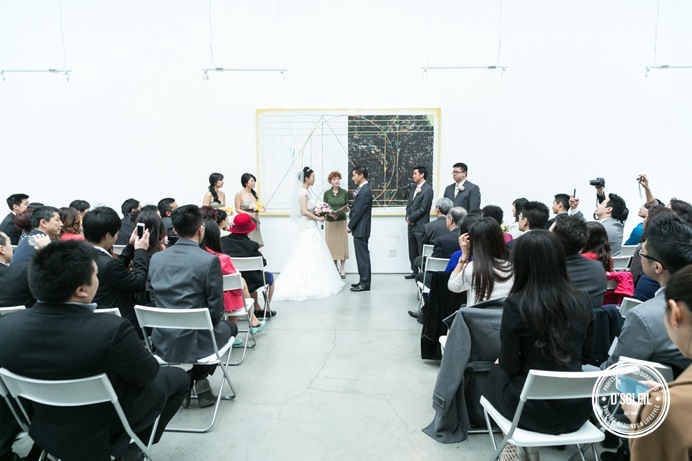 Wedding officiant Anne Moore presided over the ceremony. 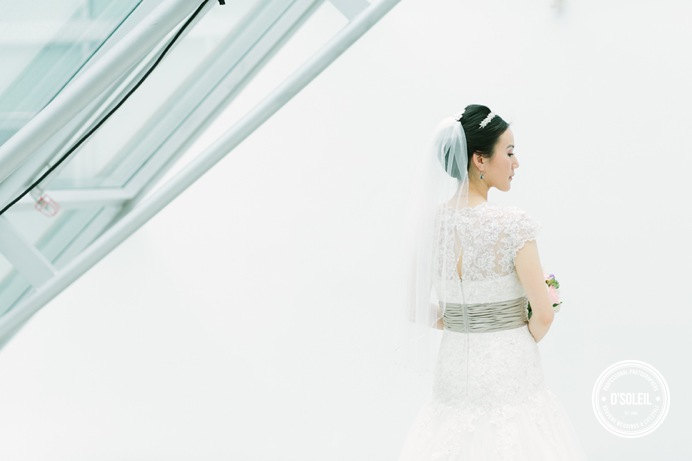 After the ceremony, we stayed indoors for photos inside the Waterfall building. 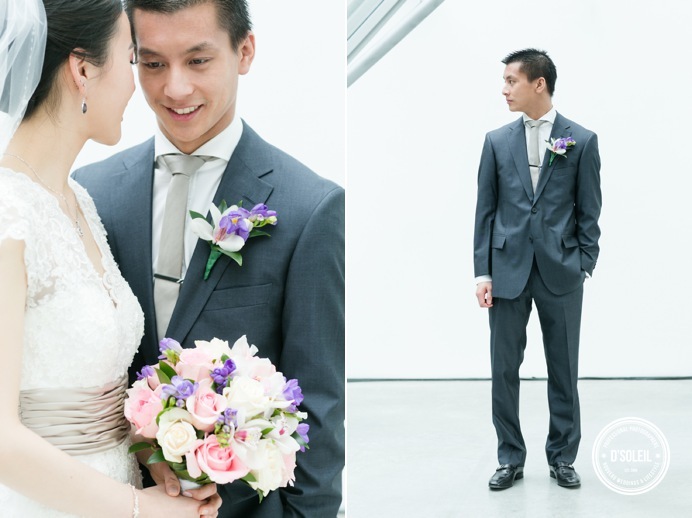 It’s white walls and clean lines made for simple and contemporary portraits of the bride and groom. 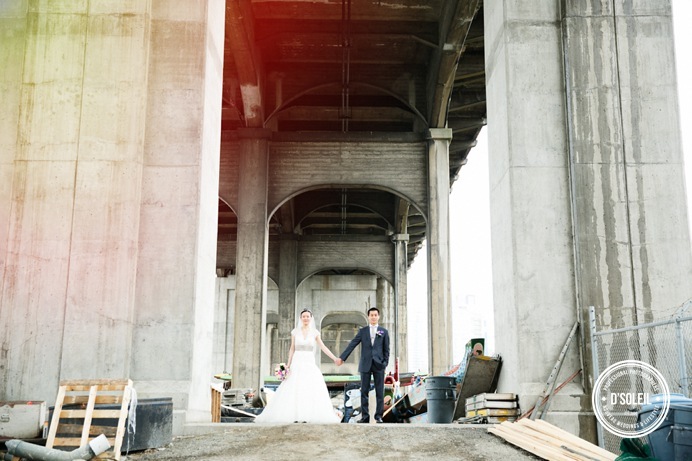 As the rain stared to pour that afternoon, we preplanned some sheltered locations in Vancouver for the rest of their wedding photos. 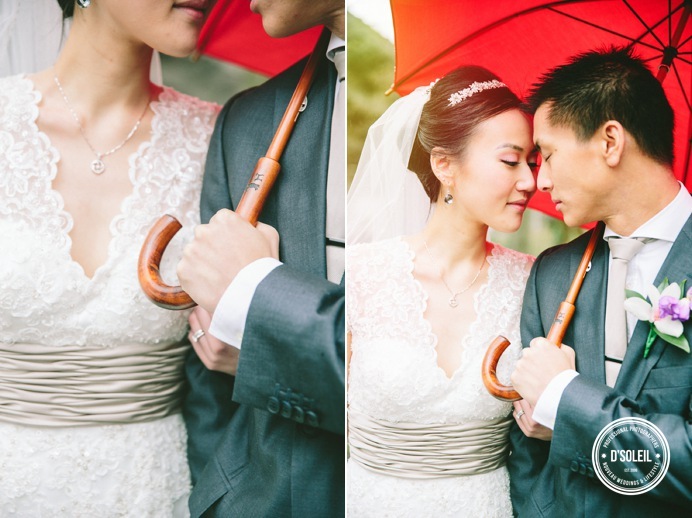 Their red umbrella became a useful part of the photo session for the bride and groom. 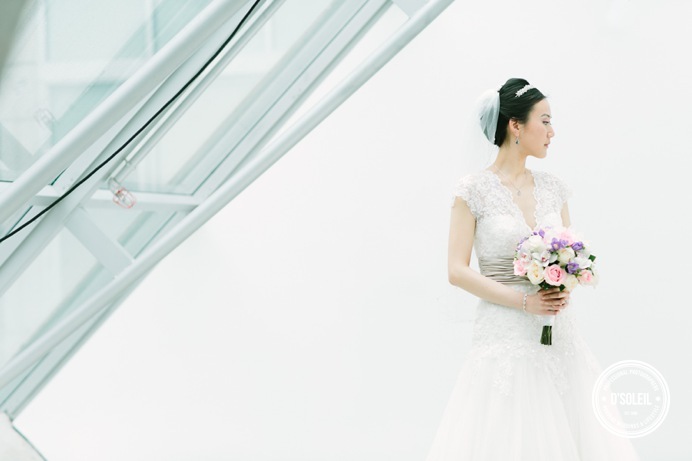 Before joining the rest of their family for a Chinese tea ceremony, we visited the Vancouver Convention Centre downtown for more photos of the bride and groom with their wedding party.